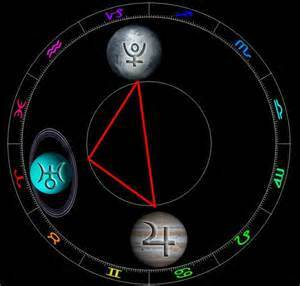 The square between Uranus and Pluto, which occurs seven times between June, 2012 and March, 2015 has occurred three times as of now. The fourth meeting of these potent planets will occur on October 31, 2013. Up to this point what I am seeing most is extremism and people holding to entrenched, rigid and old belief systems. But, something new is coming into the equation. In astrology, when another slow moving planet, such as Jupiter, begins to aspect an active planetary aspect (Uranus square to Pluto) and creates a significant configuration such as a T-square, we expect to see some kind of shift that will change the momentum of things. Between 2012 and now, this has not occurred. Very fast moving planets like Mercury, Venus, Mars and the Sun and Moon have engaged the powerful square, but until now, that’s it. What is about to happen is that Jupiter, which takes an entire year to pass through one sign, will begin to square both Uranus and Pluto. This is likely to provide a catalytic force and accelerate the ‘intention’ of the new paradigm emerging now. This can be felt now for some of us, but grows much stronger beginning in mid-August. Then it continues all the way into May 2014 and will be the most intense in mid-winter and early spring of the same year. Astrologers often view Jupiter as the ‘Great Benefic,” but my sense is that this is overly simplified. It is beneficial when and if a person receives a new opportunity and takes advantage of it by making an effort to expand one’s consciousness and grow. Jupiter asks us to enlarge our understanding and leave old, outworn, limited viewpoints behind. This is especially true when a person is bound up by rigid belief systems. However, we do have free will and it is entirely possible that a person will choose instead to hold onto and even zealously espouse (preach) the dogmas of a particular mode of thinking instead of freeing oneself from it by seeking a broader perspective. We must consciously choose the option that broadens us rather than hold on and justify rigid, uninvestigated opinions that we are simply invested in rather than have intentionally questioned. The expression of all archetypal forms will manifest in terms of two sides of a set. There isn’t just one way in which it will be expressed. This is due to the dualistic nature of our minds and the fact that in order to grow we must have the opportunity to choose. So, now that Jupiter is beginning to enter the Uranus/Pluto paradigm shift, we are about to experience some very interesting new and radically different ways of Being AND great resistance to those very ideas as well. Always both sides of a set will be seen. I have studied social movements for a long time and with that, I have tried to determine how changes really take place. Over and over again I see that the last place changes are made is in politics. Politicians weigh and measure the feelings and views of the people (in astrology this is the Moon) and take positions based on that. For the most part they mainly seek to be re-elected and this is what they care about most. Almost always, change happens from the bottom up, not the other way around. This is why we must work on ourselves if we want the world to get better. So, when Jupiter meets Uranus (radical change) and Pluto (intense need for inner transformation) many new opportunities for growth can occur. I am referring to new ways of seeing and understanding the world, even including our view of the nature of reality itself. One example is to question our purpose for being here and to feel a need to question and inquire into that in a deep manner. Is Evolution the Nature of our Purpose? Right now, something quite historic is occurring right under our nose. If you are watching shows like “Through the Wormhole” or any of the many other shows that are digging into the question of the nature of reality, you know that some viewpoints that were once considered to be very extreme are now being taken much more seriously. All sorts of different kinds of thinking are being examined. Some have begun to think that we are multi-dimensional Beings living a multi-dimensional universe. For many scientists this is no longer being trivialized by being thought of as science fiction. In fact, for some researchers there is a merging of science and metaphysics/spirituality that is truly historic. As this merging is considered, the whole idea of ‘soul purpose’ is coming into its own. What is that purpose? It begins with working toward experiencing oneself as an evolving consciousness. This is what I regard as a true paradigm shift. Just the notion of science and metaphysics coming together is a very radical shift, but to then consider that both ways of looking at the world are now leading us to the same place is truly unique. Some are asking the most fundamental questions of all. What are we here to do? 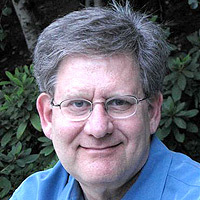 An example of one person who is exploring this is Thomas Campbell who wrote a wonderful book titled “My Big Toe.” Its purpose is to unify philosophy, physics and metaphysics. Campbell is a physicist, but researchers in other fields such as biology, neuroscience, etc, are also coming to very similar conclusions. Some of the others who are probing into this new paradigm are Dean Radin, Bruce Lipton and Robert Monroe. For those interested, here is a link to Campbell’s website. Astrology can be an amazing tool in that it can give us language and symbolic tools to understand the evolutionary process possible for us. Although I have written about it in this blog many times, it is appropriate that we look at it again from a deeper perspective. I will go into this subject in my next article. A great and powerful reminder when taken to heart. Thank you, Jim. Excellent and timely article, Jim! Looks like this Grand sextile/Star of David/Merkaba are going to be a portal for us to get our “shift” together. I agree with Kevin, the insights on change happening from the bottom up is important to remember! Shine on! Awesome timing Jim, I have been feeling the effects of this Grand Sextile for over a week now. Thanks for putting into words what is going on for not only beings who are in the Universe…..but what is needed in order to shift into the next dimension ! Thanks and please keep your information coming. I, for one, am really looking forward to this continuing shift. These may be volatile times, but they are for a greater purpose.